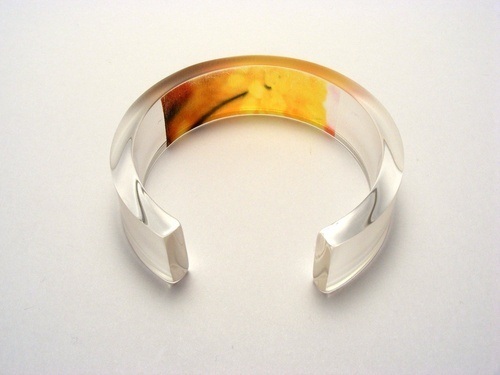 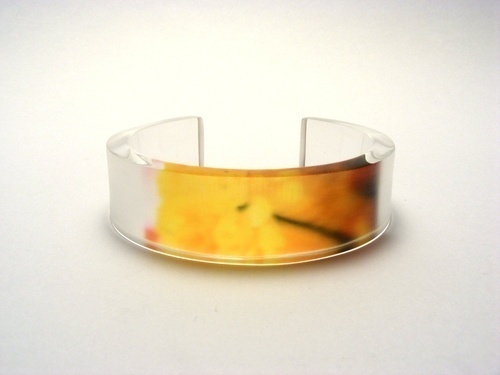 Hand made acrylic bangle featuring image of yellow dahlia bud. 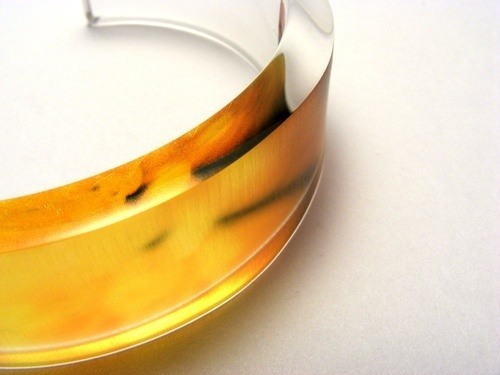 Image printed onto the inside surface. 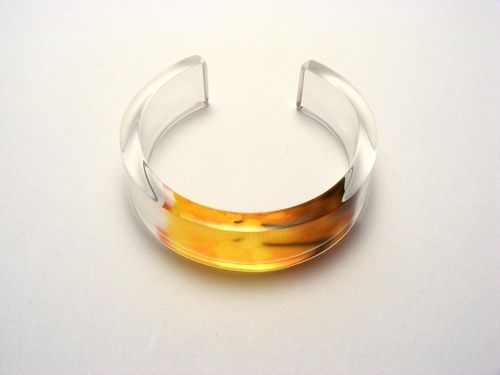 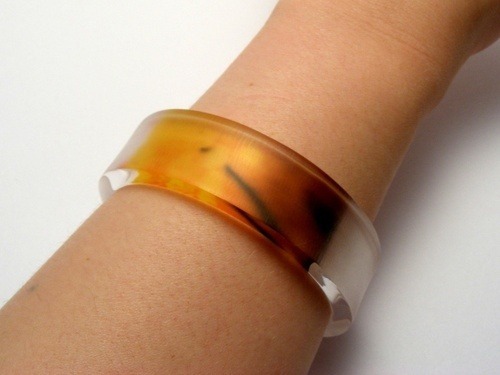 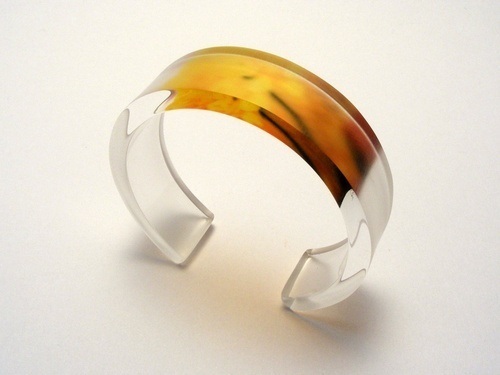 Bangle has matt surface and polished edges, causes image to distort and refract and adds a mirror like surface to the inner edge of the bangle. 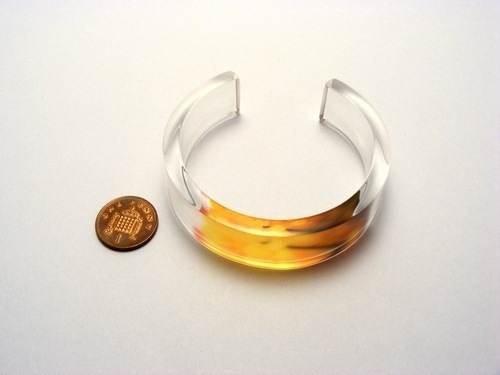 6mm thick x 20mm wide.